A couple weeks ago, Facebook dropped a virtual bomb on the Social Media Marketing community, and it’s just a reminder that what happens in the real world often has consequences in the digital space as well. The 2016 election brought a new concept into the public lexicon… “fake news.” If you’ve been living under a rock for the past 18 months, the concept of “fake news” is simple. Deliberately misleading content is created, often from dubious sources, and spread on the internet, primarily using social media, in an attempt to manipulate popular opinion. Facebook has been caught in the middle of a very public conversation about the role that social media companies play in the dissemination of “fake news” and it appears that Facebook has decided to do something about it. In this post, we’ll walk you through what Facebook is changing, why they are changing it, and what this means for your Social Media Marketing efforts. Facebook has taken a lot of heat for their role in spreading “fake news” and now they are changing the way that they populate your news feed in an apparent reaction to the phenomenon. “With this update, we will also prioritize posts that spark conversations and meaningful interactions between people. To do this, we will predict which posts you might want to interact with your friends about, and show these posts higher in feed. These are posts that inspire back-and-forth discussion in the comments and posts that you might want to share and react to—whether that’s a post from a friend seeking advice, a friend asking for recommendations for a trip, or a news article or video prompting lots of discussion. The bottom line is that the change effectively means that the content that you post for your business on Facebook is likely to be seen by fewer eyeballs than before. You may, rightfully, be asking yourself why Facebook would do this when their main source of revenue is from business owners like yourself. Rolling out this change and being rather frank about it’s impact to their advertiser base, signals that Facebook is taking the issue more seriously now. Of course, Facebook may have other motives for making the change. The less altruistic explanation stems from the fact that Facebook has, for years, claimed that they are not a media company and should not be regulated as one. Despite their instance to the contrary, Facebook faces a lot of pressure from regulators in the U.S. and overseas regarding the company’s role in disseminating information and the growing evidence that it’s leading to higher levels of depression, isolation, and device addition. This decision to change the way they populate your news feed could come from an altruistic desire to lessen the negative impacts that their platform has on the public, or it could come in the form of a preemptive attempt to avoid future regulatory burdens. Either way, it’s happening. What does this mean for your Social Media Marketing efforts? I’ve been following this pretty closely. I’ve read up on the subject, watched interviews, and watched closely how leading marketers are reacting to the news. Most of what I’ve read expresses a pretty negative outlook, specifically for any business hoping to use Facebook as a marketing platform. With headlines like “The Real Losers In The News Feed Update Are Brands And Small Businesses,” you’d think Facebook just booted everyone off their platform. I think it’s important that we pump the breaks a bit before jumping to the conclusion that this is somehow the end of marketing on Facebook. It’s important that we avoid the mad rush for the doors and instead focus on how to play the game better. After all, there is much more to Social Media Marketing than simply posting on Facebook. In the coming months, watch how your engagement changes. Keep an eye on your KPIs (Key Performance Indicators) like Audience Growth, Audience Engagement, and Content Reach. You may see declines in some areas while you see increases in others. It’s just too early to tell where the chips will fall from this change, just stay calm and post on. At the end of the day, not a whole lot has changed. 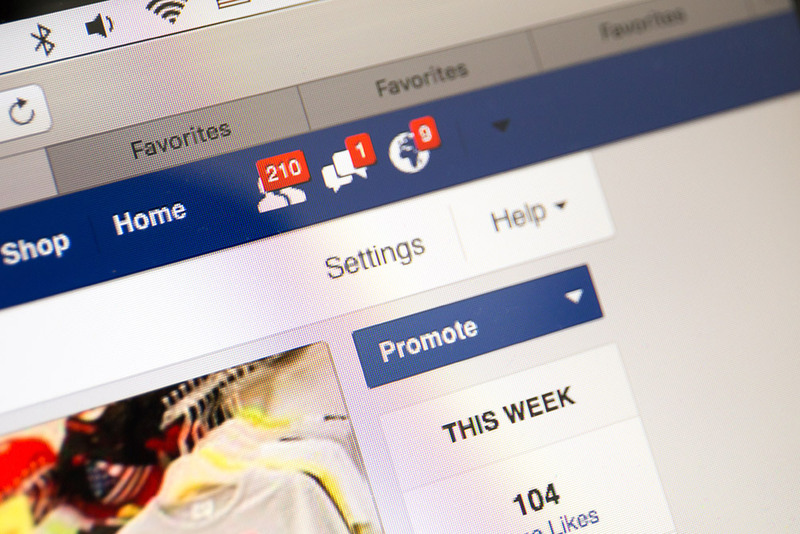 Sure, Facebook is prioritizing other content above your marketing efforts, but that’s not new. Anyone who has spent even a small amount of time using Facebook to market their business knows that the real challenge is creating content that is clear, concise, engaging, and most importantly effective. This new feed priority chips, both from an algorithmic and human nature standpoint, have been stacked against you from day one. If you want to market your business on Facebook successfully, you aren’t going to get there by simply putting out ads all the time or posting only self-congratulatory posts. Those weren’t engaging before the change, and they aren’t engaging now. Focus your attention on creating and distributing content that is geared towards engagement, and you will probably fare just fine. Who knows, this change may ultimately help to remedy the white noise effect that hurts even the best of Social Media Marketers. You may find that your content outperforms your competitors by an even greater margin. This change is a big one; there’s no doubt about it. But with every setback is a hidden opportunity for advancement. Focus on creating good, real, conversation-sparking posts that cast your brand in a good light and this change could very well lead to better results from your Social Media Marketing efforts. If you’re a small to mid-sized business, it may sound like a daunting task to invest so much time and energy into your efforts. Focus on what you know, and in the areas where you aren’t the expert, seek one out. There are plenty of social media marketing firms that specialize in the small to mid-sized market that can help you grow your online presence and make the most of your social media marketing efforts.